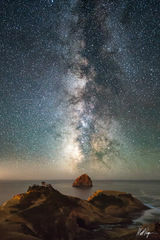 This fine art nightscape photograph features stars and the Milky Way rising above Kiwanda Rock in Cape Kiwanda off of the shores of the Oregon Coast near Pacific City. 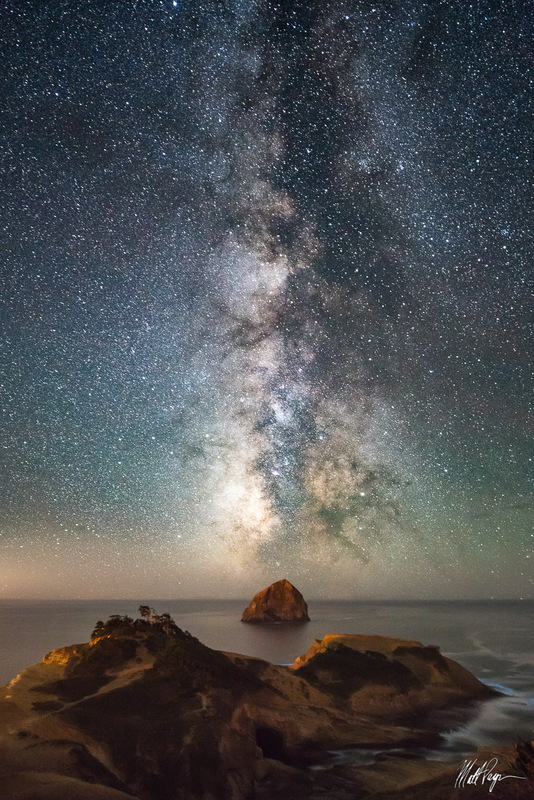 Kiwanda Rock is a famous haystack rock in the Pacific Northwest and makes for an excellent pair with the Milky Way. Light from Pacific City causes the rocks on the shore to glow lightly in the calm summer breeze.